Conserve your data on Android and on PC especially if you are on metered internet connection by following these simple tasks. >>>1. Buy a data bundle because Pay-as-you-go rates are always more expensive. >>>2. 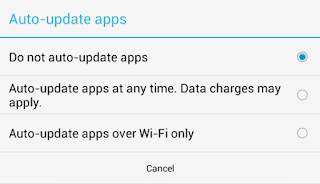 Turn off/disable automatic updates in your Google Play Store settings to save data. Instead, manually update the apps you use frequently when they have updates. To do this, Open your Playstore, then go to Settings, Under General tab, click on Auto-update apps. >>>3. Do not allow your social media apps to auto-download images, video or audio. 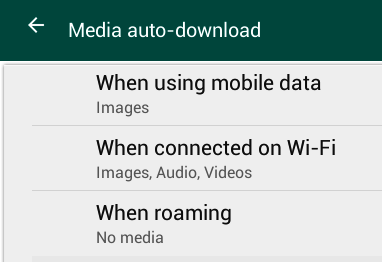 Change the settings of android apps like Whatsapp, Facebook, BBM, etc to disallow automatic downloads of media. On Whatsapp, go to Settings > Chats and calls > Media auto-download, then uncheck all media viz Images, Audio, Video “When Using Mobile Data” as well as “When Connected on Wi-Fi”. >>>4. Connect to WiFi ONLY whenever and wherever it is safe and possible to do so. Always check your phone to see if your Wi-Fi is switched off when not in use. To do this, slide down the notification and check or Go to System settings and make sure that the Wi-Fi button is grey out. >>>5. If you must do large downloads, as much as possible, do them over Wi-Fi or get unlimited data tweak working of your phone and network. Click here to see how to set up your phone for various unlimited browsing and downloads. >>>6. Use app and file sharing apps like FlashShare and Xender where safe and possible to save data. Click here to see how to use Xender to send files to iPhone or iPad. (a) To save data on Chrome, go to “Settings, under the Advanced tab, click on Data Saver and slide on the enable button. 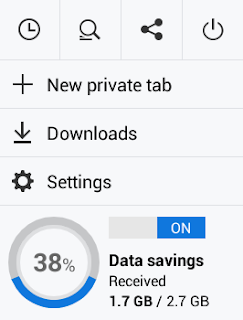 (b) Data Saving tips for UC Browser. >>>8. Access Facebook with browser rather than the Facebook app which uses more data. Best browser to use for Facebook on android is Chrome and UC browser especially if you would be playing videos. >>>9. Where possible, go for offline Android Apps and games rather than the ones that need internet access to save on data. >>>10. Restrict background data. You can do this generally in Settings or do it for individual apps, also in the Apps sub-menu of your device’s settings. >>>11. Only use when necessary, data-draining services such as Youtube, Instagram, Spotify, etc. >>>12. Identify and limit or remove high data-consuming apps from the Data Usage sub-menu of your device’s settings. >>>13. Use Google Maps, Google Docs, etc offline or alternatively, download and use the offline Here Map and use it for direction without connecting to the internet. >>>14. Turn off WiFi Hotspot. Where you must use it, use it with a password and keep your password secret. >>>1. Buy a data bundle. Pay as you go rates are always more expensive. >>>2. Disable automatic updates for Windows 10. How to >>> Press Windows+R to launch Run command, then type "services.msc". Scroll down to locate Windows Updates, click on it and on the Startup Mode, select "Disabled"
>>>3. 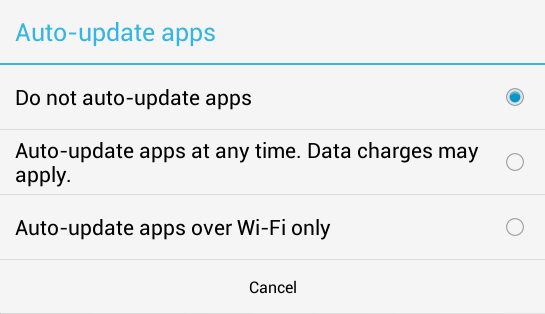 Configure in-app data settings to limit individual app data usage. >>>4. Stop apps like Facebook, Twitter, Youtube from auto-playing/auto-downloading videos, music and pictures. >>>5. Restrict background data use by apps by using an app like GlassWire, Click here to see how to install and use. >>>8. If you must do large downloads, as much as possible, do them over WiFi.